Good news for more than 600,000 COPD patients in the Netherlands: more hospitals across the Netherlands are introducing the measurement of vital COPD values at home. This means that COPD patients no longer have to go to the hospital to get these values measured. "It also prevents hospitalizations which is a great development," says Emiel Rolink, director of Long Alliantie Nederland (LAN, the Dutch Lung Alliance). A visit to the hospital is not only taxing on COPD patients who already have reduced energy because of their disease, but because the nature of the disease also causes stress. Patients can feel insecure and worry about "lung attacks". Mr. Bremer, a COPD patient, explains: "I no longer have to go to the hospital as often as I used to, which really was an intense exertion for me. Now I have my values measured twice a week, which really gives me and my family peace of mind." Measuring the values of COPD patients at home is made possible by cVitals, an eHealth solution designed by the Dutch health care innovation company FocusCura. Patients submit their measurements twice a week, which are then monitored at a distance. If the system detects an increased risk or if the patient has questions of their own regarding certain measurements, they can immediately contact a health care professional by video chat. In doing so, the care provider can immediately give medical attention and prevent hospitalizations. "We need to reduce hospitalizations by 25%"
In the Netherlands, COPD attacks represent 30,000 hospitalizations every year, half of which are re-admissions. Rolink notes that, "The LAN wants to reduce the number of hospitalizations by 25% across the Netherlands in the context of the Nationaal Actieprogramma Chronische Longziekten (National action program for chronic lung disease patients), while maintaining or improving the quality of life of patients. Finland and pilot areas in the Netherlands have shown that it is possible, provided you use a systematic approach that monitors the patient closely." 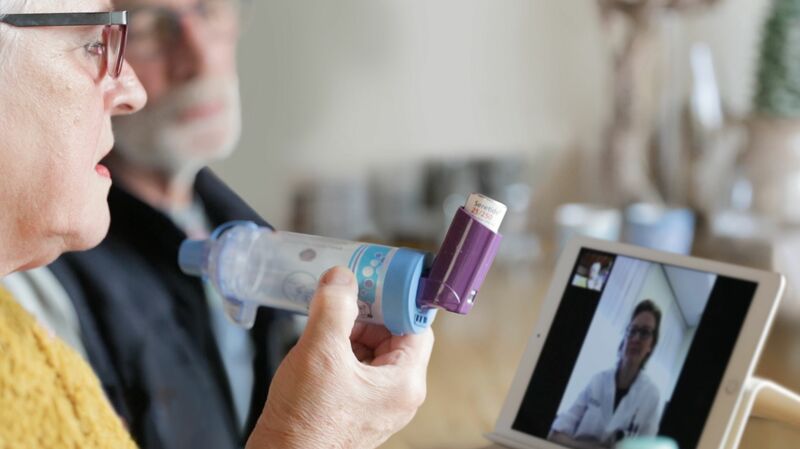 "We are working with FocusCura to make this kind of modern COPD care available to patients across the Netherlands," states Joris van Eijck, director of Health Care for Menzis. "This follows multiple successful projects in Slingeland Hospital, Isala, and MC Slotervaart." To help hospitals achieve this ambition, they will be receiving a book from Erik Gerritsen, the Secretary-General of the Ministry of Health, Welfare and Sport, during the national e-health week. This book contains lessons learned, experiences, and a plan of action to make digital COPD care available.